Once you’ve invested in a quality airgun, you’ll find there are some accessories that are necessary to have on hand. Below I have listed a few to consider. These are some things I’ve found that have helped me in the airgun sport. I will keep adding to this list as I locate deals and savings on quality items. 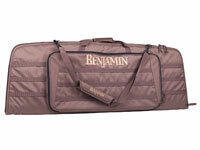 Here is a quality air rifle case to consider. I have found that it is difficult to locate a case deep enough for an air rifle with a large scope / scope rail. This one will does the job well at a great price. Click on the image to learn more. It is helpful when shooting field target or other target sports to use a special made shooting glove on your non-trigger hand while addressing forced position shots. This puts some padding between the hand and the gun making the position both more comfortable and taking out some of the potential movement from pulse or twitches in the hand. 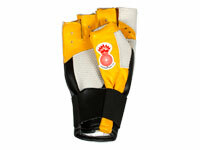 Here’s a good glove to consider. Click on the image to learn more. One of the things I’ve found to be critically important in shooting field target is avoiding cant error when shooting. This occurs when you inadvertently tilt the rifle to one side or the other causing the scope to be canted. It can adversely affect the pellets point of impact ultimately causing you to miss long range targets. This scope level will, when properly set up will help eliminate cant error. 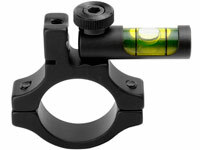 This level is designed for scopes with a 1″ tube diameter. Click the image below to learn more about this scope level. This one scope level is for a 30mm Scope Tube.